Their perfect vocal harmony first came to life in 1964 during a romantic holiday in the Virgin Islands. A year later they decided to work as a group, rapidly becoming known in Los Angeles and then around the world as the popular Mamas & Papas. Many characterised their musical style as high-class folk rock while critics felt that the quartet's sound was mainly rooted in a carefully thought our formula derived from producer Lou Adler. This was a formula flawlessly showcasing the group's warmly toned voices against the accompanying rock background in which the group was spotlighted as a hippie act. In any case the cleverly arranged four-voice mix of John Phillips (1941), his wife Michelle Gilliam (1944), Denny Doherty (1941) and Cass Elliot (1943) were tremendous auditory treats as they earned the label 'good time music'. The Mamas & The Papas took the fancy of the greater public -- adulation certainly not limited to their youthful pop-loving audience. 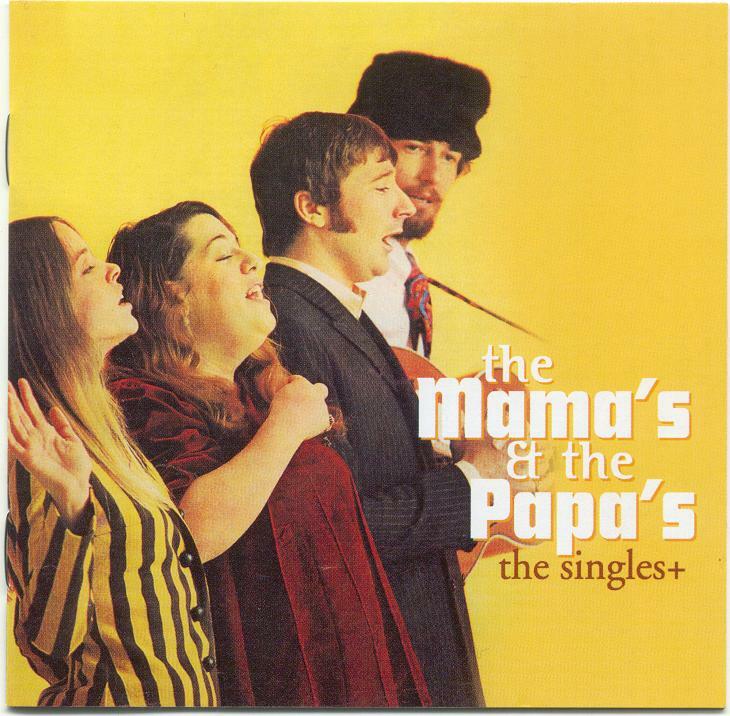 The first two singled The Mamas & The Papas released in 1966, 'California Dreamin'" and 'Monday, Monday' (number one in the US) were rapidly followed by more international successes such as 'I Saw Her Again', 'Dedicated to the One I Love', and 'Creeque Alley', in which the history of the group was told. Most of these songs were written by (also) guitarist John Phillips. As one of the organisers of the Monterey Pop Festival 1967 he firmly believed that the appearance of The Mamas & The Papas during this musical happening would considerably boost the popularity of the quartet. And he was right, because 1967 became a golden year in the short lifespan of the group. Alas a year later -- after a chain of no less than 14 hit singles in the United States and 5 successful albums -- the curtain fell for the quartet. It becan with the shipwrecked marriage of John and Michelle, after which Denny and Cass announced their goal of solo careers. John Phillips, too, temporarily ofted for solo activity, recording the album '16 of Their Greates Hits', a title that certainly spoke for itself. There was a bud of hope amongst their fans that The Mamas & The Papas might continue, but the reunion of the four in 1971 lasted but a moment and the album 'People Like Us' brooks no doubt that the glory years were really over. After the second disintegration of the group considerably corpulent 'Mama' Cass once again continued her successful solo career, but after an opening evening fiasco in Las Vegas, in 1974, she made her way to London. She received a standing ovation at the Palladium, but passed away that night (29 July 1974) in her London flat of a heart attack. After the death of Cass Elliot from time to time the three remaining ex-members of the group succeeded in winning attention through activities involving cinema, theatre, and recordings. Less positive was the news in 1980 that John Phillips and his daughter Mackenzie had been arrested for using drugs, being assigned the alternative punishment of holding a series of lectures about addiction to drugs and the sad consequences. Once more Phillips attempted to bring back the glory days of The Mamas & The Papas and go back to the fun of the second half of 1960. With his daughter Mackenzie, Doherty and Elaine McFarlane (who had been part of the group Spanky And OUr Gang) a tour was arranged that took the group criss-crossing through the United States--under the old and adulated name of The mamas & The Papas. But the days of their earlier 'good time music' were definitely over and the 'newcomers' failed to match that specific sound of the past. The indestructible sound so characteristic of the songs of the gone-but-not-forgotten Mams & Papas comes back in full force on the enclosed double CD. An album of all the greatest hits of yesteryear. An album that begins with the first songs the quartet recorded -- shortly after John and Michelle Phillips left The Journeymen and Denny Doherty and Cass Elliot said goodbye to another Greenwich Village band, the Mugwumps.